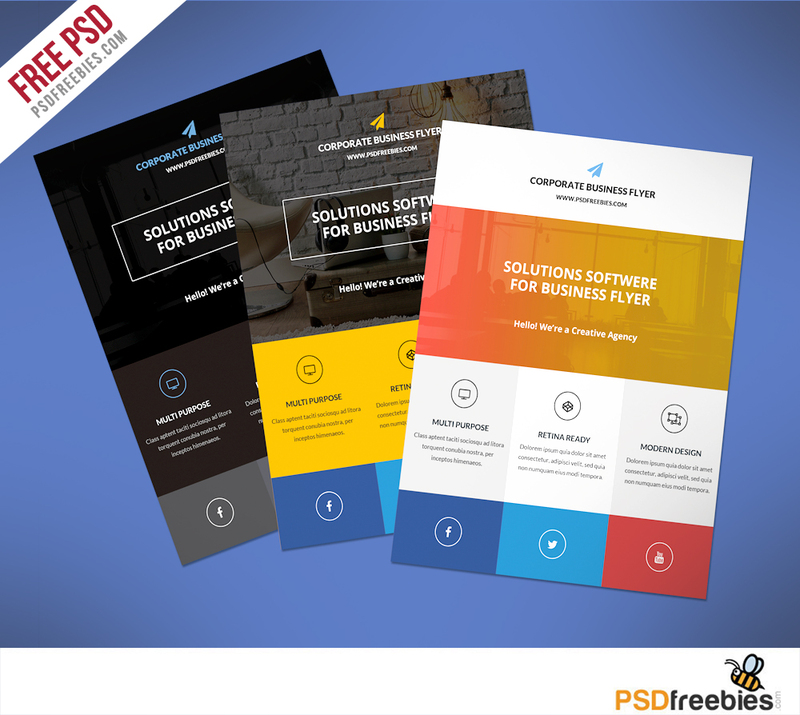 Download Flat Clean Corporate Business Flyer Free PSD. This Flyer Freebies simple,clean and elegant psd template is suitable for several purposes. You can use this Flyer for product promotions, corporate identity, commercial advertisement. All objects are layered. Layers, image and texts are easy to edit And it comes in 3 option colors. Feel free to use this Flat Clean Corporate Business Flyer Template Free PSD in your upcoming projects. Hope you like it. Enjoy!